Iris, based on the life of British writer and philosopher Iris Murdoch, is a story of unlikely yet enduring love. As a young academic, Murdoch meets and eventually falls in love with fellow professor John Bayley, a man whose awkwardness seems in stark opposition to the self-confidence of his future wife. The story unfolds through Bayley's eyes. He recalls their first encounter over 40 years earlier. These images portray Murdoch as a vibrant young woman with great intellect and are contrasted with the novelist's later life, after the effects of Alzheimer's Disease have ravaged her. Murdoch's great mind deteriorates until she is reduced to a mere vestige of her former self, unable to perform simple tasks and completely reliant on her husband. Join us for a FREE screening of the film Iris, followed by a FREE panel discussion centering on themes brought up in the film including dementia, social care, medical ethics and ageing. Confirmed speakers include Profs Kim Graham, John Gallacher, Joanna Latimer and Andrew Edgar. Free food and drinks will be provided and everyone attending is welcome to take part in the debate. Venue: Hadyn Ellis Building, Maindy Road, Cardiff University. 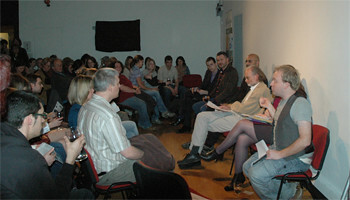 Cardiff sciSCREEN is a cross-disciplinary programme that promotes the engagement of publics with science and the academy. Using special showings of new release films, sciSCREEN uses local academic expertise to discuss contemporary developments in science in an understandable and entertaining way, facilitating debate on the wider social and cultural implications of these advances. These discussions draw on a range of disciplinary perspectives and the broad repertoire of themes found within contemporary cinema. Cardiff sciSCREEN is organised by the MRC Centre for Neuropsychiatric Genetics and Genomics (CNGG), ESRC Centre for Social and Economic Aspects of Genomics (Cesagen), and the Wales Gene Park. To join the sciSCREEN mailing list, please e-mail sciscreen[at]cardiff.ac.uk. To join our Facebook group - search for 'Cardiff sciSCREEN'. To follow us on Twitter: www.twitter.com/sciscreen; www.twitter.com/JLew1979. The next event will be on Tuesday June 24th following a FREE screening of Iris. Disclaimer: Please note that this site is a blog. Any views or opinions presented in the essays are to be understood as those of the author and do not necessarily represent those of Cardiff sciSCREEN or any constituent part or connected body.